American Affairs Desk Comics: What I Did This Summer. I Fell in Love! 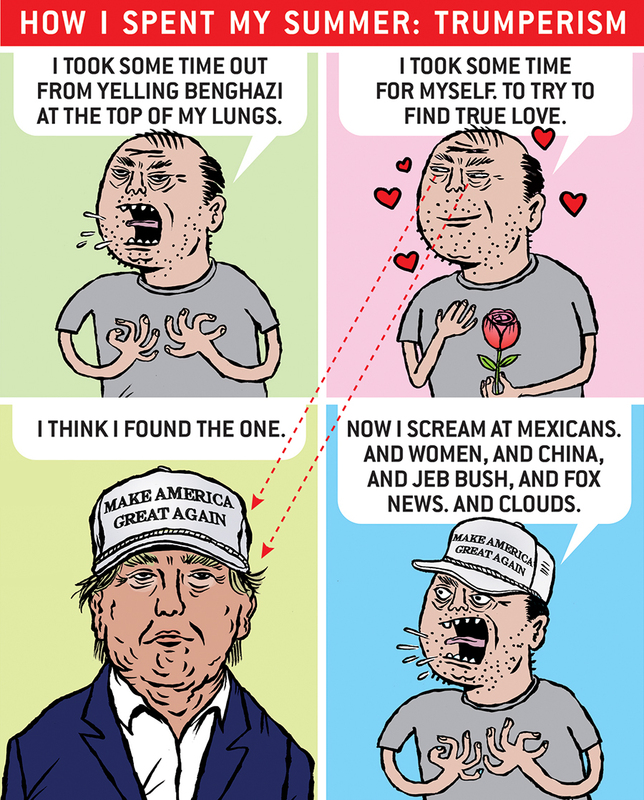 Trumperism in a nutshell. Emphasis on nuts.